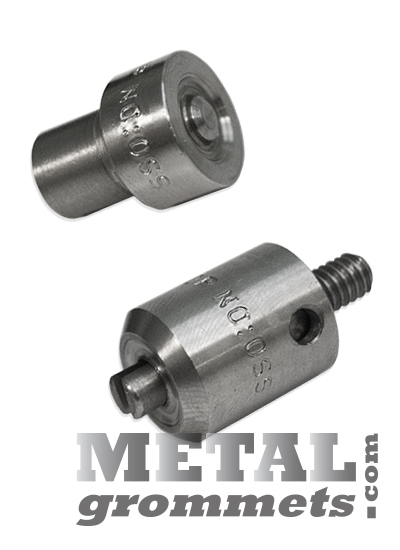 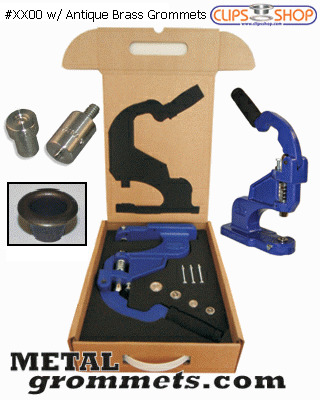 Shop for a CSTEP-2 Professional grommet bench press metal grommet attaching kit by grommet size - #XX00 (1/8" ID). 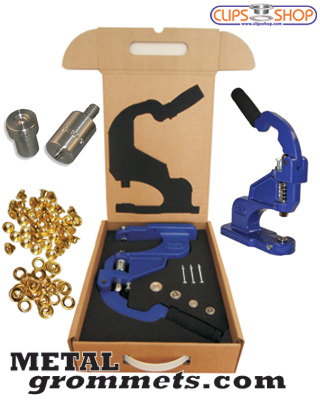 In this category, buy 1/8 ID solid brass self-piercing grommets in your choice of 4 metal finishes complete with a self-piercing stainless steel setting dies and a grommet attacher tabletop hand press as part of a package deal. 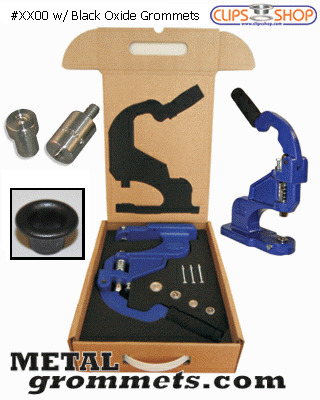 This professional-grade grommet setting package comes complete with everything you need to apply ClipsShop self-piercing metal grommets in size #XX00 (0.125" ID) in your choice of four finishes.